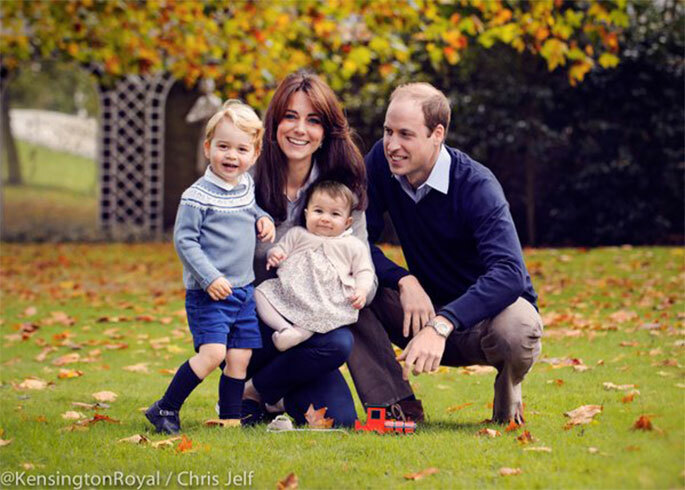 Taken by photographer Chris Jelf back in October, you can see the picture-perfect family grinning away as they crouch amongst the autumn leaves in the Kensington Palace grounds This picture is thought to be taken around the same time as the official photographs of Charlotte, as she can be seen wearing the same baby pink outfit. 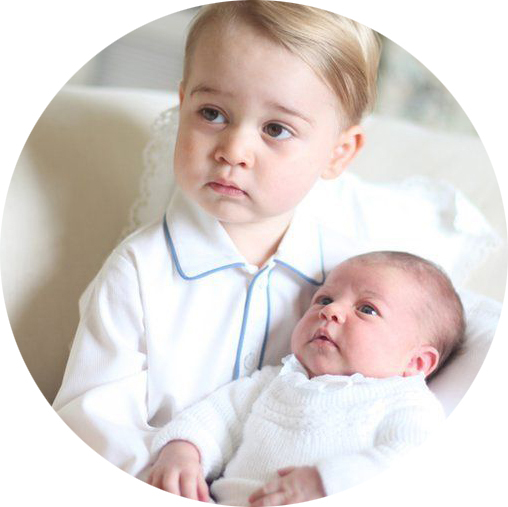 Prince George looks adorable wearing a knitted sweatshirt from Spanish brand, Fina Ejerique. Although he's seen wearing the blue version it has unfortunately gone out of stock, but we like the grey version just as much. He's thought to be wearing shorts by Mayoral, they're also out of stock, but this alternative by Ralph Lauren are almost identical. 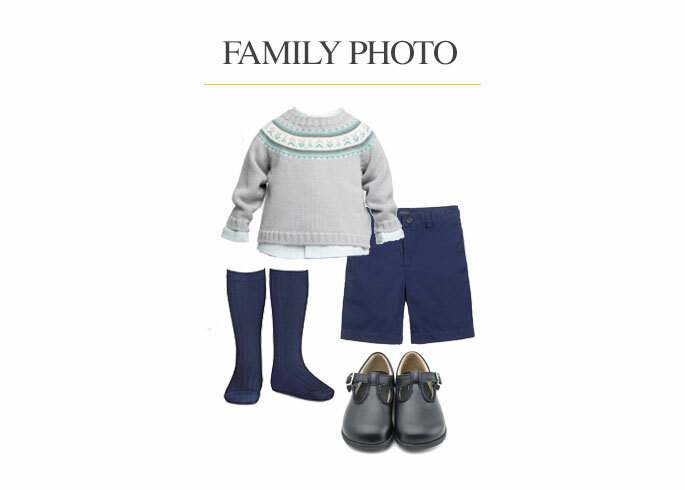 And what would a Prince George outfit be without a pair of knee-length socks and buckled shoes? He wears his usual Star Rite first-walkers and Amaia socks to complete the look.